According to a study done by the Radicati Group, people receive an average total of 71 emails a day. That’s a noisy inbox. When you are competing in an environment like that it is important that you do everything you can to be noticed. So, if you have chosen an email campaign as part of your low-cost marketing plan, make sure that you spend some time maximizing the chances of getting your emails opened. It is very important that the From: field of your email reflect a person and a trusted source of information. Your marketing emails need to come from you. Don’t use a no-reply address because that is really impersonal and looks really spammy to boot. Using info@businessname.com or email@businessname.com is better but still not as good as john@businessname.com. Of course, don’t use your personal email address, but your alias should be friendly, inviting, and personal. It has been found that subject lines using fewer words are more likely to be opened. That makes sense; people are busy and they need to be grabbed and compelled quickly. But, two or three words, you say? How can I possibly convey everything in the email or a benefit to the reader in two or three words? Brief though he was, could Polonius have shortened the message even further to just three words? Yes: Hamlet is mad. If that had been an email subject line, doubtless the email would have been opened and the subject of Hamlet’s madness expanded upon and explained further within the email. Your job is to distill the point of the email down to its very essence and put that in the subject line. If you received an email from a trusted source with a subject line of “Don’t Do This” from drsmith@healthylifechoices.com, would you open it to find out just what you shouldn’t do if you want to be healthy? What about “Stupid Mistakes To Avoid” from john@marketingemails.com? Sometimes it is fine to extend your subject line if you are going to put a negative in there. Trying to avoid making mistakes or avoid being judged as stupid or ill informed is a deeply ingrained human desire. Subject lines that activate that natural human desire can be very successful. A final tip…avoid using these words in your subject lines: Free, Help, and Percent Off. These words are overused and they tend to be flagged as spam more easily by email providers. Your open rate will surely go down if people never see your email because junk/spam filter traps it. Remember, these are just tips; make sure that you monitor your email campaigns closely so you know what subject lines work best for your customers. 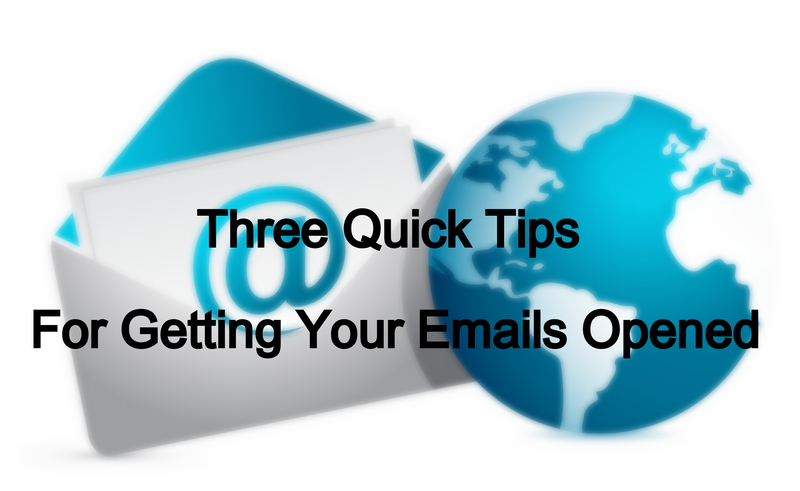 And, once the email door has been opened make sure that the email content is worth your customer’s trouble.